A brand new Pew Research poll highlighted a very interesting trend among divorce in the United States – while divorce rates have drastically declined among younger adults, it’s nearly doubled among adults 50 and over in the past 25 years. 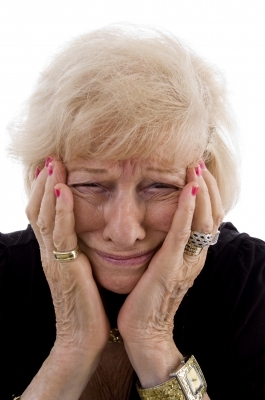 The truth is, it’s becoming more and more common for seniors to divorce after retirement. This is happening for various reasons, but a big one is that retirement now lasts for decades versus only years, and many people are looking to make those golden years the best yet. But senior divorces can get messy, as there are often many assets to sort out. During divorce negotiations, a home is often one of these assets. This home is possibly owned free and clear, or with a lot of equity. For divorcees age 62 and over, a reverse mortgage can be used as a tool to help with settling this asset during divorce. The great thing about reverse mortgage is it allows someone to stay in the home and live mortgage payment free, AND access funds from the equity. Here are a couple scenarios in which reverse mortgage would be of benefit. Scenario 1: When splitting the home asset, instead of selling the home, one party could be allowed to stay in the home and obtain a reverse mortgage, of which the other party receives the funds from. This can be a win-win. In cases like this, the financial settlement can even be wrapped into the loan if the divorce is final before the closing. This would mean a reverse mortgage would be part of the divorce settlement discussion. It is important to understand that the party that remains in the home will be responsible for certain obligations pertaining to the home, such as property taxes and homeowners insurance. Scenario 2: Possibly you’re used to living off two incomes – whether it be from work, or social security and pensions. Suddenly dropping down to one income can be devastating. In cases like this getting the home in divorce proceedings can be a huge benefit, as once the divorce is final, a reverse mortgage could be obtained on the home. The funds could come in monthly installments, a line of credit (that grows), or a lump sum. In addition, if you wanted to sell the home and move, a reverse mortgage could be used to purchase the new home – and can even allow you seek homes that would otherwise not be in your price range. The best part? You will always live mortgage payment free. If you are considering a divorce, or sifting through the process, don’t hesitate to contact me to further understand how reverse mortgage can help, and whether or not you qualify.